As you know I am a huge HUGE stationery fan and I have a special love for pens. So of course, I was very excited to try out some of the Platignum Tixx range from Snopake! Whenever I am doing bullet journaling I like to use a really fine point pen. I find it makes everything neater and look much more aesthetically pleasing. 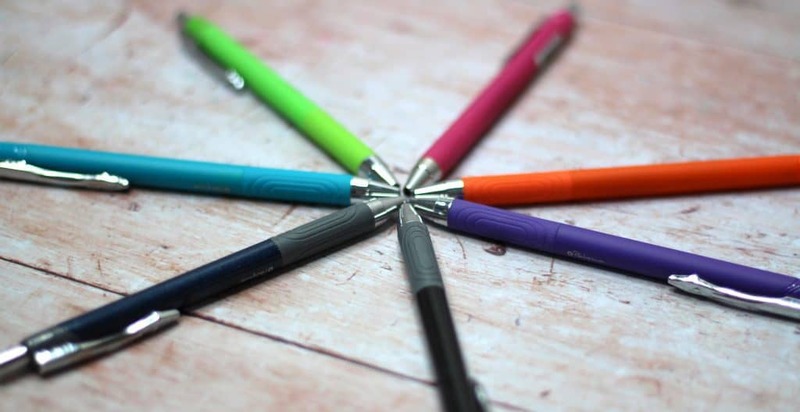 This pen is perfect for that because it has a stainless-steel needle point tip that makes writing even the smallest entries easy. It has a water based ink so works well with most types of paper. If a needlepoint tip isn’t your thing they also do a standard roller ball too. You can purchase the Platignum Tixx Roller Ball and Needle Point Roller Ball Pen in both blue and black to suit your individual needs. Prices are around £1.49 and can be found here. I was never really a fan of writing with a fountain pen. I think I am a bit heavy handed and it always feels like a bit of a scrape across the page whenever I try and use one. My husband Ollie however loves writing with them but often once the ink runs out they are left in a draw forgotten about. Changing ink cartridges is messy and let’s be honest a complete faff. So of course, when we heard about the disposable fountain pen Ollie was very interested. Again, this pen is water based ink and is non-bleed on most paper types. It comes in the choice of blue or black and has a firm clip lid to prevent leaks. As Ollie is left handed he often has issues with smudging when writing. The ink in the disposable fountain pen is fast drying and he hasn’t had any issues with smudging! Ollie has been writing with the fountain pen for the last few days and says it’s comfortable and easy to write with! Prices are around £1.99 and can be found here. My favourite type of pen from the range has to be the Platignum Tixx Ballpoint Pen. This is a fantastic everyday pen for me. It’s a nice soft grip and has a hybrid ink that is fast drying and smudge free. There are no loose lids to worry about because it’s a simple push mechanism and can be easily thrown in my handbag if I am on the move. Prices are around £1.49 and can be found here. I own A LOT of stationery and although I’m not a pen expert I do know what I like. When it comes to the Platignum Tixx range I am very impressed. Each pen is well made and easy and comfortable to use. They aren’t trying to be something they are not they are simply good quality pens and I LOVE THAT! 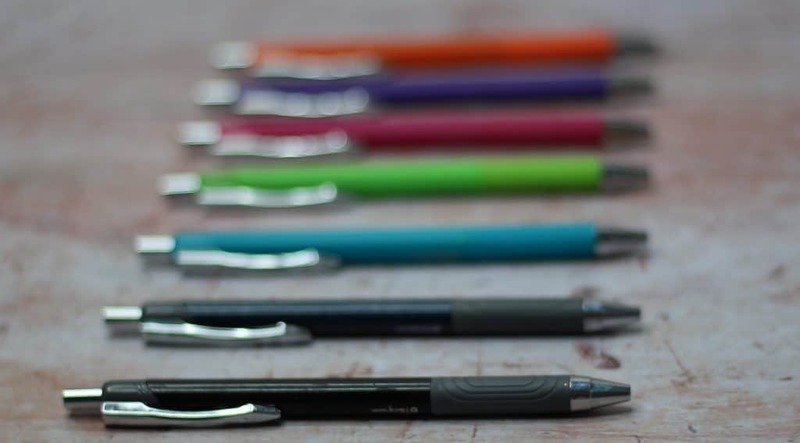 I personally think everything is fairly priced and love the idea of a disposable fountain pen to avoid any mess or hassle and it’s also very affordable too! Find out more about Snopake and the Platignum Tixx range on their website here or head over to their Twitter or Facebook page for all the latest news. Thank you so much for stopping by if you enjoyed this post then you may also like this one! I received these pens on a gifting basis in return for an honest review however as always all words, opinions and thoughts are my own! Prices are correct at time of printing please see individual websites for up to date prices.For more information on any of this please visit this page.